LSU's overall record against Auburn is 29-22-1 and 7-3 over the last 10 games. The home team has won in last five games. Wonder if CEO fed him too..
That’s a fair assessment. Let’s go shock the world, GEAUX TIGERS! Correct and they're very loyal. Like we are. So glad Burrow is here. LSU deserves a good QB. Long overdue. I’ll take these positive comments from him over a bunch of negative stuff, even if some of it is bull shite! You need to think before you type vaseline. The home team has won in the last 5 games. I hope the downvotes physically hurt you. We played auburn in the early 70s, the last time in 1973 when he was 4. We played them in 80 and 81 Ana the games were meaningless so I doubt he gave a damn. We didn’t play them again until 88 when he was in college. The “little kid” statement is bull shite. True dat...and I also accidentally hit the down vote button. Herbstreit is throwing out disingenuous sound bites. Haha, best QB since 2010 or 2011. How about since 2013. I know right. If you’re gonna skip on Mettenberger then you have to go back to 2007, not 2010. Really you have to go back to 2006 if you're going to skip Mett. He was better than Flynn was in 07. 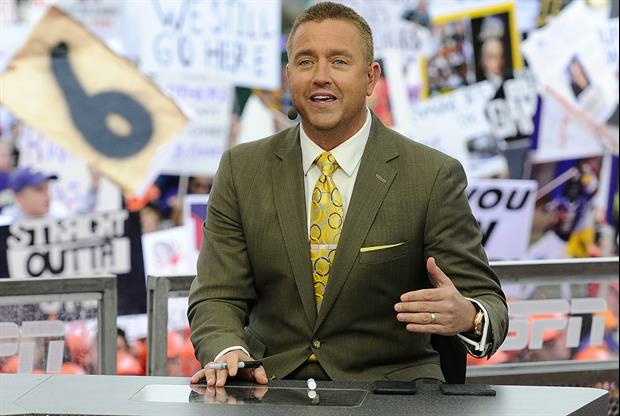 LSU and Auburn didn't play every year when Herbstreit was a little kid. Sounds fishy. Sounds like my opinion as a biased LSU fan. I almost never pick against LSU but acknowledge that it will be a very tough environment and game to win. It's fun to be in the underdog role when you know there is a chance for a big win. Reminds me of the 80s when I was a kid and LSU had good teams but felt like an underdog often. so.... he didn't make a pick. Exactly. Looks like he is leaning Auburn...but just weighed in without making an actual pick. They all make their official "picks" during college game day Saturday morning.